Nothing is what it seems in the ever changing setting of Rifts® Chaos Earth®. 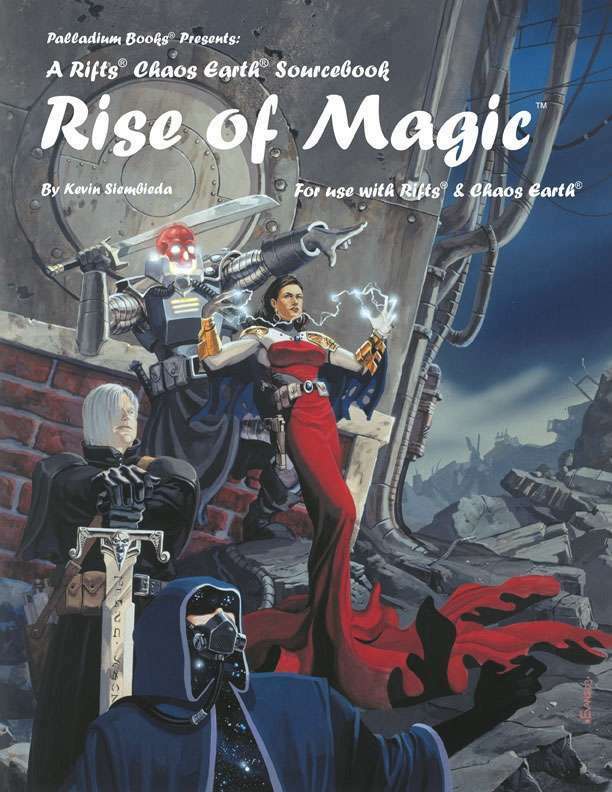 First the Great Cataclysm and the collapse of human civilization, followed by the Demon Plagues, and now magic has returned to Earth in ways nobody could ever have imagined. Ordinary people are developing magical powers and spell casting abilities. Some use their powers for good, others for their own gain, and others to kill and destroy. The secrets of magic wait for you inside. Eight new types of practitioners of magic: Zone Wizard, Chaos Wizard, D-Shifter, Chaos Witch, Demonbringer, Demon Caller and others. Five sub-classes of the Chaos Wizard. More than 100 new and different spells for Chaos Magic. Compatible with Rifts® and all its sourcebooks. For use with the Rifts® Chaos Earth® RPG. 64 pages by Kevin Siembieda. For more information on this or any other Rifts® title, please visit www.palladiumbooks.com.